The end of the year approaches…but is it the end of the line for our heroes? 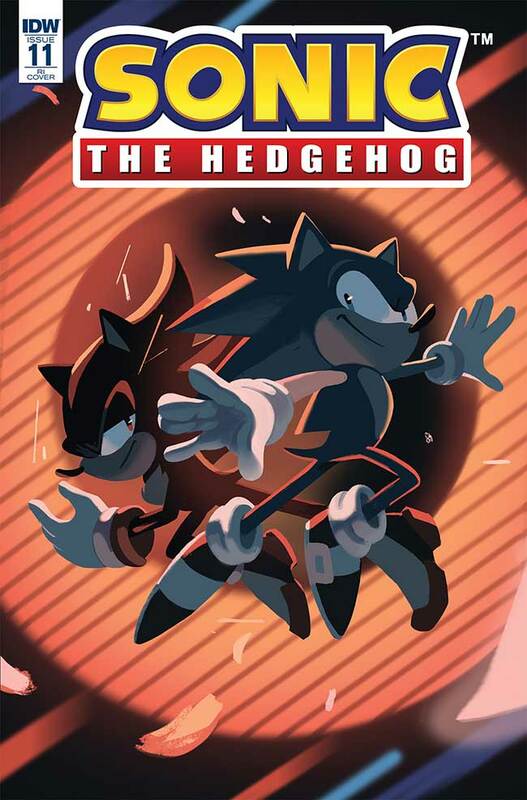 IDW have released their solicitations for November, and the attack on Angel Island is ramping up! In Sonic the Hedgehog #11, Sonic and Knuckles are still facing off against the invading villain, but with the Master Emerald under his control he’s in position to overpower them with sheer force. Speaking of force, the entire force of the Eggman Empire’s fleet is being confronted by the rest of the resistance, but will they be able to fight back? This is “The Battle for Angel Island”: part 3. “The Battle for Angel Island,” Part Three! Sonic and Knuckles are on the ropes as their foe uses the power of the Master Emerald to become a far more formidable threat! Meanwhile, the rest of the Resistance faces off against the entirety of the Eggman Empire’s Fleet… but can they win? Order 10 copies and get one free variant cover by Nathalie Fourdraine! We will have more on this issue closer to the time of the release. In the meantime, next month will see the release of the first part of this epic battle, so make sure you watch out for the preview! That is a great cover and I will probably buy this issue because of it. Even if I am pretty sure this comic will be underwelming at best.